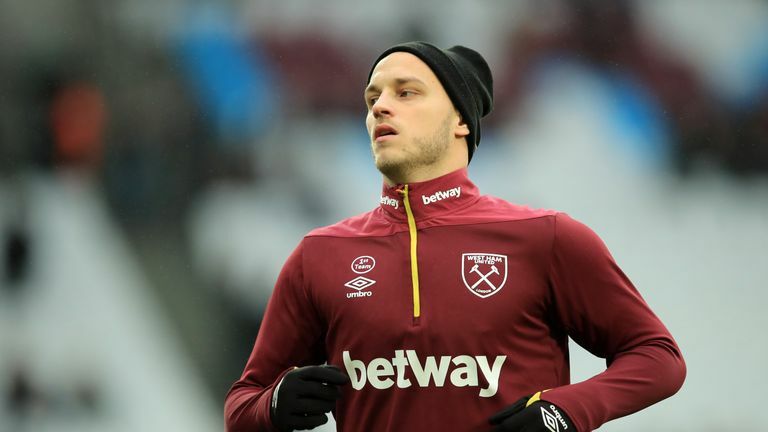 Manuel Pellegrini will let Marko Arnautovic leave West Ham if there is 'a good deal for both parties'..
Sky Sports News understands Chinese club Shanghai SIPG had a £35m bid rejected for the Austria international, with the Hammers unwilling to let Arnautovic go just 12 months after joining the club. 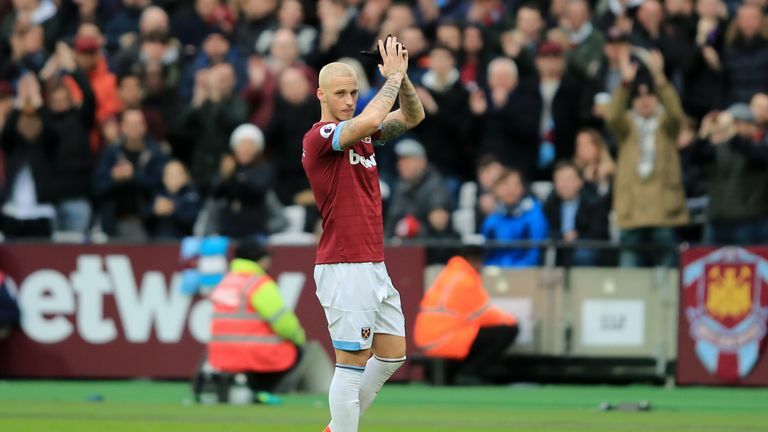 Arnautovic wants to quit West Ham for a big-money move to Shanghai SIPG, although Pellegrini said he does not expect the forward to refuse to play in a bid to force through the transfer. If a satisfactory offer for the 29-year-old is received, Hammers boss Pellegrini will not stand in his way. "If I say the player must stay, the player will stay," he said. "I don't have any problem with the club. In all the months I've been working here I never had any problems with the owners about that. "So they are not forcing me to sell Marko Arnautovic. But I think as a manager the best thing is to take the solution that is best for the player and the club, both together. "If they agree, we don't have any problem to change. "I am not telling the club about it. If it's a good deal for both parties we will arrange to be without Marko. But the club doesn't want to sell him." Shanghai SIPG also want to sign former West Ham forward Dimitri Payet from Marseille, Sky Sports News understands. Two seasons ago Payet, another fans' favourite at the London Stadium, refused to play until he got a move back to his former club Marseille. West Ham have lined up Celta Vigo striker Maxi Gomez as a potential replacement for Arnautovic if he leaves the club, Sky Sports News understands.